Discussion in 'iPhone and iPad Games' started by razmobi, Nov 22, 2016. 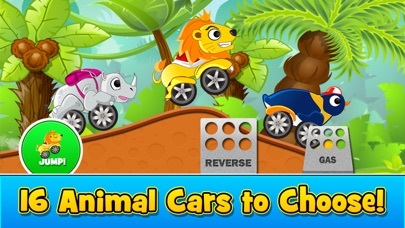 Hey All, Check out our new animal racing game for kids. 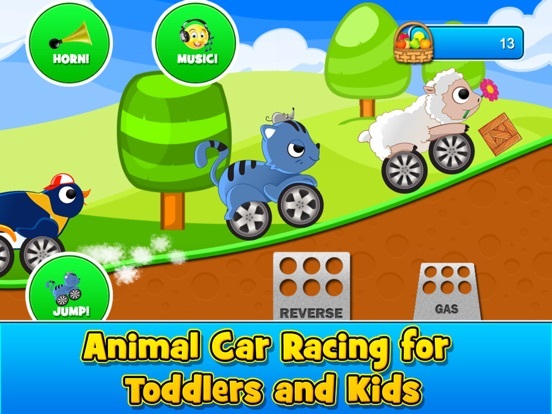 Animal Cars Kids Racing Game is a fun and exciting racing game for young kids and toddlers. With 16 different Animal Cars to choose from, like the cat, dog, lion, penguin, elephant and much more, your child takes control of the animal car with simple controls so it’s easy for them to pick up and play. 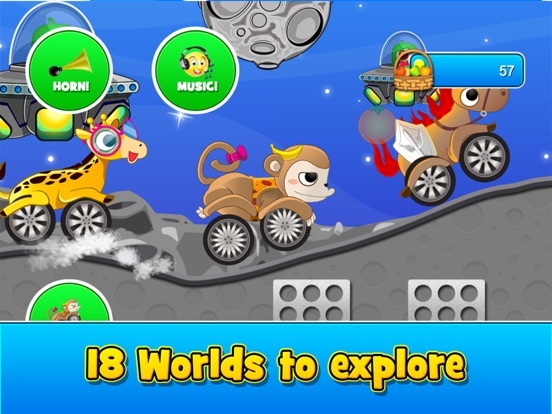 18 different worlds to race in, Collect and eat fruit along the way to unlock more animal cars with the prize claw! 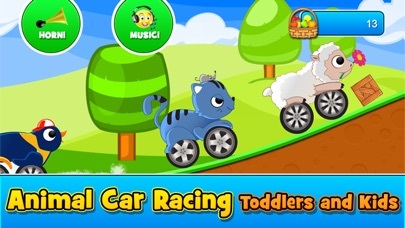 If your kids love animals and cars, then this game is for them. 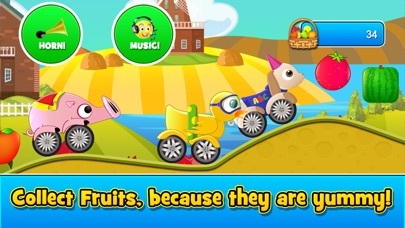 This game is designed for young Children and toddlers between ages 2 to 8 years old. the animal cars never flip ensuring your child always gets to the finish line! Race against other cars which slow down when they are ahead which lets your child catch up to them and win the race. Accelerate, brake to blaze across the course, make the car jump, make the animal roar, and change the music all in the game screen. Fireworks, Balloon pop and prize claw are at the end of each race so your child can collect more fruit, and unlock new cars. 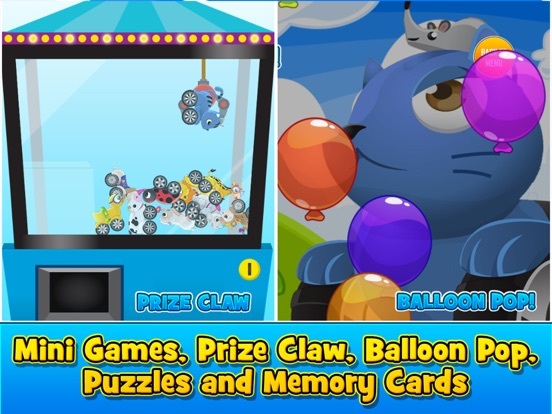 Also included for even more hours of fun are four mini games which include Balloon Pop Memory Cards Puzzles Prize Claw With 16 cool looking animal cars all with their own unique personality, 18 worlds/levels, and fun mini games will keep your children and toddlers entertained for hours! 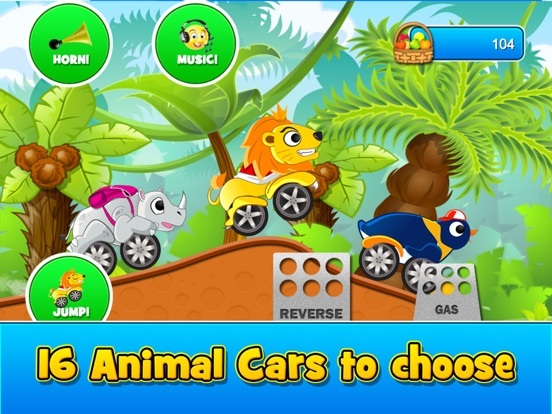 Animal Cars Kids Racing Game helps your child understand the educational mechanics of using mobile and tablet devices. With puzzles, memory card and heaps of fun racing action. 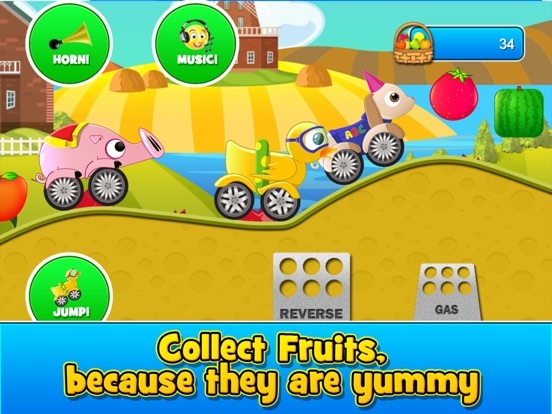 Features: * 16 Animal Cars to choose from * 18 Worlds/Levels to play * Fun Cartoon HD graphics * 3 different kids music sound tracks for the child to switch between. 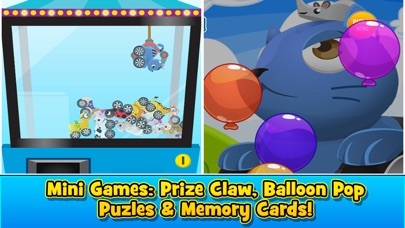 * Cute Animal Cars, Engines, Animal Calls + much more vibrant sounds * Balloon Pop game & Fireworks, And the fun prize claw at the end of each race. * Mini Games such as Puzzles, Prize claw, Memory Cards & Balloon Pop * Settings to allow parents to turn off sound and/or music + much more. Privacy Information: As parents ourselves, Razmobi takes children's privacy and protection very seriously. We do not collect any personal data. 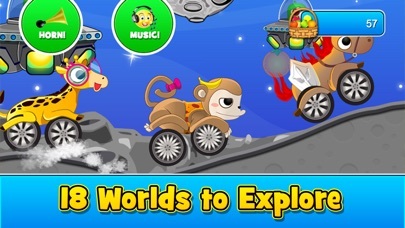 This app does contain advertising as that allows us to give you the game for free – ads are carefully placed so kids are least likely to accidentally click on them. and ads get removed on the actual race screen. This app includes the option for adults to unlock or buy additional in-game items with real money to enhance game play and removing ads. You may disable in-app purchases by adjusting your device settings. If you're having any problems with this app, or would like any updates/enhancements, feel free to contact us at webnowau@gmail.com. We would love to hear from you as we are committed to updating all our games and apps for the best possible user experience.